Yehey! I reached another milestone in my blogging career! I reached my first 400,000th visits! Actually, it’s already 400,344 based on WordPress Stats. I have now published 400 blog posts which was shared 1,859 times. I also accumulated 392 blog followers, 280 email followers, 45 wordpress.com followers, 981 comments and 55 comment followers. Yehey! I reached another milestone in my blogging career! I reached my first 320,000th visits! Last week, I also gained another first; reaching 921 visits in one day alone, on February 20! And within that week, I also had three straight days of nearly 1000 visits! What’s unique about this sudden surge of visitors is that they did not come from my usual deaf related articles. It came from my copied post of “Humorous Stories from Philippine General Hospital“. This is about a funny collection of stories from doctors, patients and their families while being treated in the first government hospital built by the American colonizers in 1907. Most of the visitors, I presume are my fellow Filipinos. More than 3,000 people read this article this February alone! My top referrer has always been Google Search followed by deafread.com, Facebook Page, WordPress.com and our school’s official website mccid.edu.ph which will undergo a major facelift this month. I’ll just post this to remember the date when I reached the number. Thank you very much to all my faithful readers. We were able to put up a new business for the deaf which are going through birth pains. But all of these are worth it. There were times that I want to at least shut myself out of being involved with the deaf. Sure there are great times, and there are greater times. But there are more bad times and sometimes even worst. However you might view things, I accept that this is a fact of life. 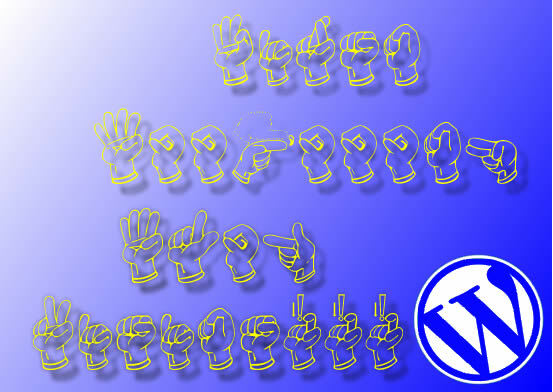 Not that there are no ripples of activities involving the deaf and the Deaf here in the Philippines. One significant event happened last March when WFP President Collin Allen visited the Philippines and talked about Deaf Rights. Many Filipino Deaf leaders participated in this once-in-a-lifetime event. 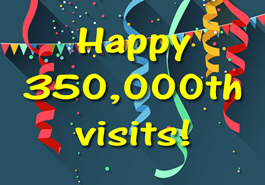 Still today, I celebrate my 280,000th visitors since I started blogging in 2008! Hooray! Actually it’s already 281,337 visitors. I just missed blogging it when the number was reached. My WordPress dashboard says that I have 375 posts, 23 categories and 761 tags. It also says that I have 312 Blog Followers, 52 Comment Followers and 761 Facebook Followers. My top post remained Former Isabela Governor Grace Padaca while my most commented post is about my retrospect on Philippine Deaf Education.